These are historic and monumental times for clean, safe, and renewable energy in the Philippines. The nation is now recognizing the critical importance of sustainable energy systems. Senator Grace Poe introduced a bill clamoring for a law promoting the use of solar system in the Philippines in the midst of ever-increasing electricity costs. Senate Bill No. 1719, an Act known as the “Solar Rooftop Adoption Act of 2017”, promotes the use of solar panels on the rooftop of residential, commercial, industrial, and government buildings by amending Republic Act 9513, or the Renewable Energy Act of 2008. The Philippines is going strong about going green. Even the biggest real estate developers and our government leaders are concerned about environmental consciousness. Sustainable design and structure rule the game and the word is out that to ensure a bright future, we all have to find ways to lead green and sustainable lifestyles. All this brings us to one common path towards a renewable future. Going solar is one of the more fundamental ways that anyone can shift to a greener lifestyle. Through an array of photovoltaic cells, sunlight is converted to electricity. This has become the most affordable and cost-efficient renewable technology of this era. “Energy from the sun is unlimited, and that’s a fact for another 5 billion years,” said Solaric President Mike De Guzman, during an interview at the Solaric Showroom in Makati by “Sea Princess” Tessa Prieto-Valdes about going green. He went on to talk about providing clean energy with no greenhouse gas emissions, and the more important issues to address in investing in a solar power system. “With solar, you save money. You save the environment. You are cost-efficient. You avoid increasing power costs. You increase your property value. You assume a dual role by being a consumer and a producer of power. Energy from solar is now cheaper than energy from a new gas burning power plant,” emphasized De Guzman. Senator Poe, who is also the Chairperson of the Senate Committee on Public Services, added, “The State recognizes energy security and electricity affordability as necessary components of inclusive, sustained and broad-based growth. No other technology, renewable or otherwise, could match the convenient installation attributed to rooftop solar,” as she pressed for the law promoting solar energy. 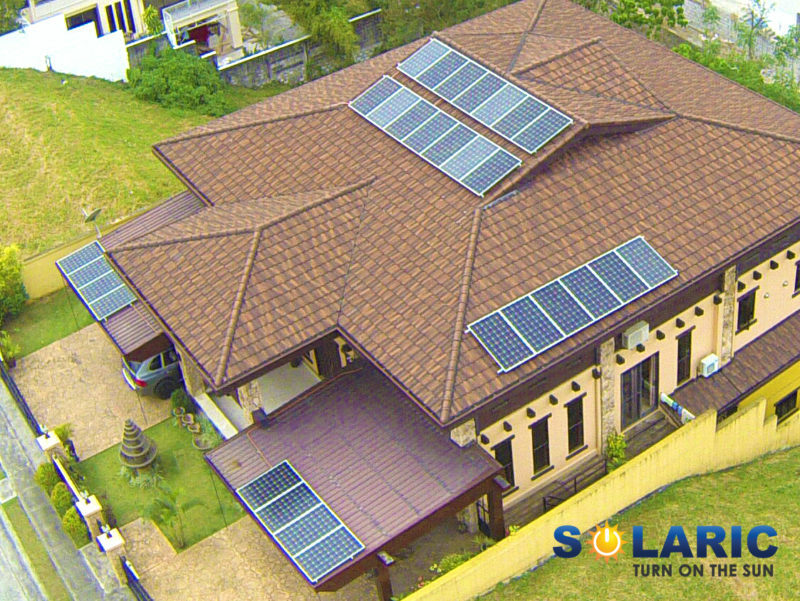 “Solaric’s vision is very straightforward, and very aligned to Senator Poe’s vision for rooftop solar. In an ideal world, we want to convert all buildings to green buildings. We want all newly constructed homes to install solar. In ten years, I envision all houses in exclusive subdivisions to be on solar. By year 2030, majority of the nation’s energy should be derived from renewable energy sources. Only then can we have a cleaner, greener, and more sustainable Philippines,” added the solar expert De Guzman.